They may have missed out on a ticket to Canada, but it was hard to argue that local hero rockers Monochrome didn’t get the crowd’s vote. 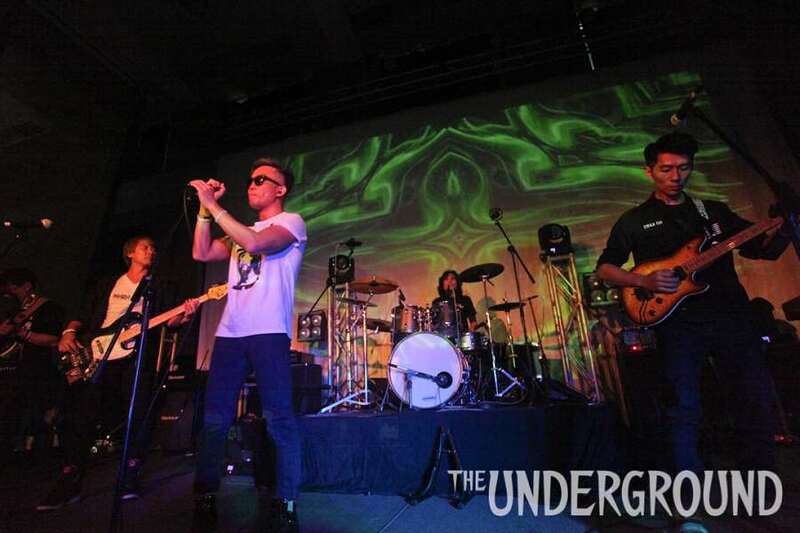 The band members were looking slick in hoodies and shades, while screaming fans and neon signs held aloft gave the group’s performance a lively atmosphere. “This song is called Black and White (黑白) because we believe in honesty,” said lead singer Frankie, introducing the self-titled track with its beefy Buckcherry riff. The lead guitarist was the star of the show, opening Move It On with shrieking guitar and showing off some impressive finger-tapping. Final track普羅米修斯 (Prometheus) began with a nonsensical speech about Pandora’s Box being opened, before things took a turn for the weird with cheesy, Beverly Hills Cop-meets-Rick Astley synthesised strings. The song played out theatrically like the closing credits of the film as the “Monochrome” sign in the crowd dimmed to “Mo ch me”. “Try to wait until the end of the night to vote,” said Chris B at the end, adding, “No fighting please.” Luckily, there were no brawls between rival fan clubs, but Monochrome’s fans made a beeline to the voting box after the set. Though it was great to see such a devoted following of a local group, it was a rather disrespectful gesture by the fans, especially when there were still other bands on the bill and there was lots of time for voting at the end of the night.